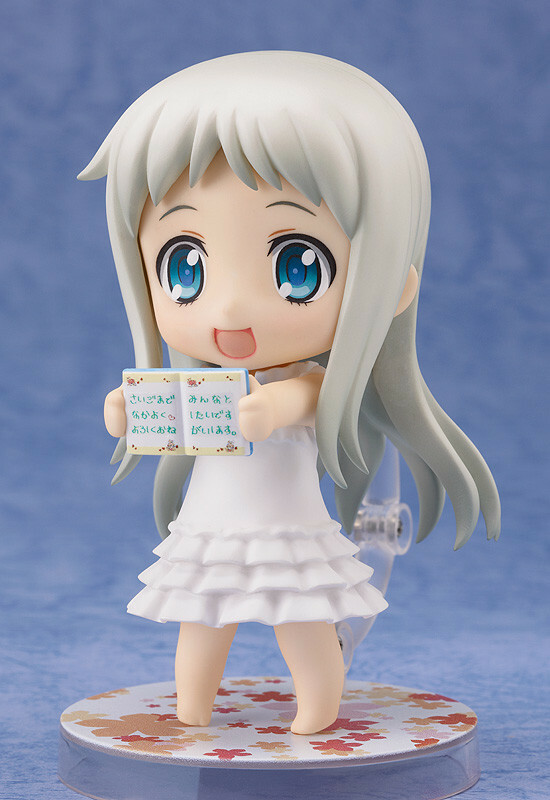 Nendoroid Menma is back again to fulfil your wish! 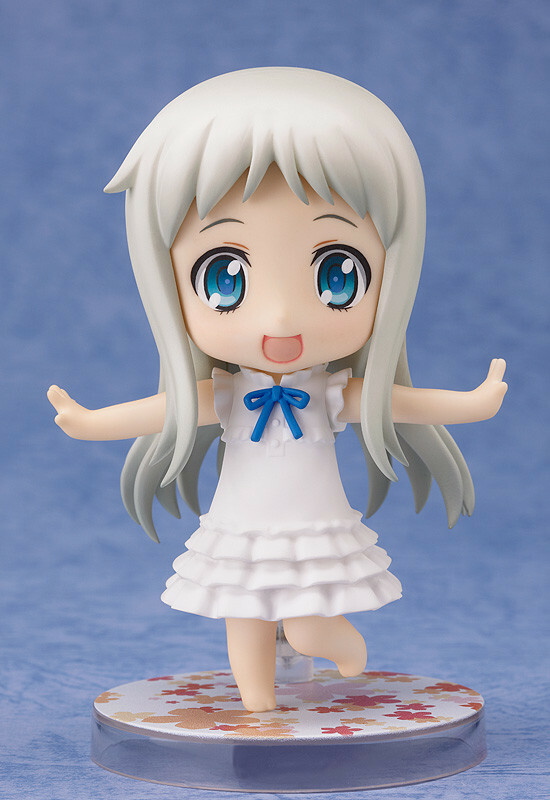 From the anime series 'Anohana: The Flower We Saw That Day' comes a rerelease of Nendoroid Meiko Honma, better known as Menma - the lively, friendly member of the 'Super Peace Busters'. She comes with a variety of optional parts, including Menma's diary filled with her memories and thoughts of all her friends, as well as some of her steamed bread, which helped everyone believe she was actually with them. 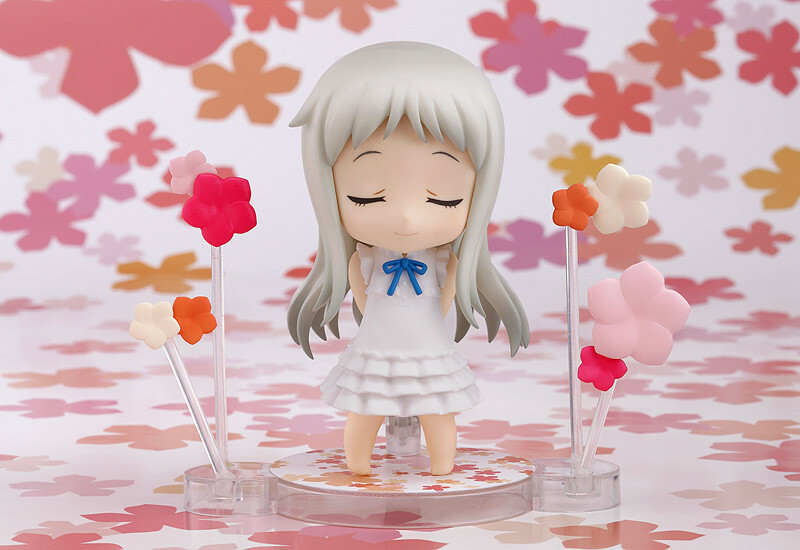 She also comes with parts to recreate the scene from the ending theme - including flower parts and stands to place them on, as well as an expression with closed eyes and arm parts to let her put her arms behind her back. 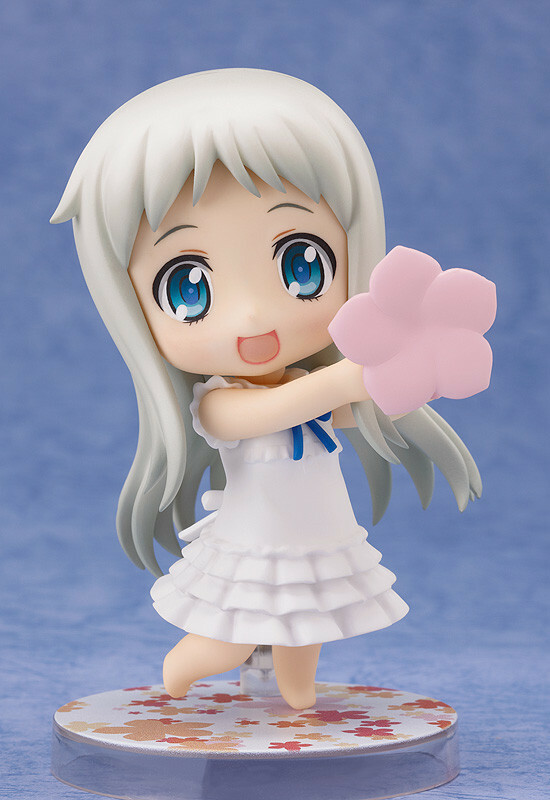 She comes with everything you need to recreate your favorite heart-warming scenes from the series! 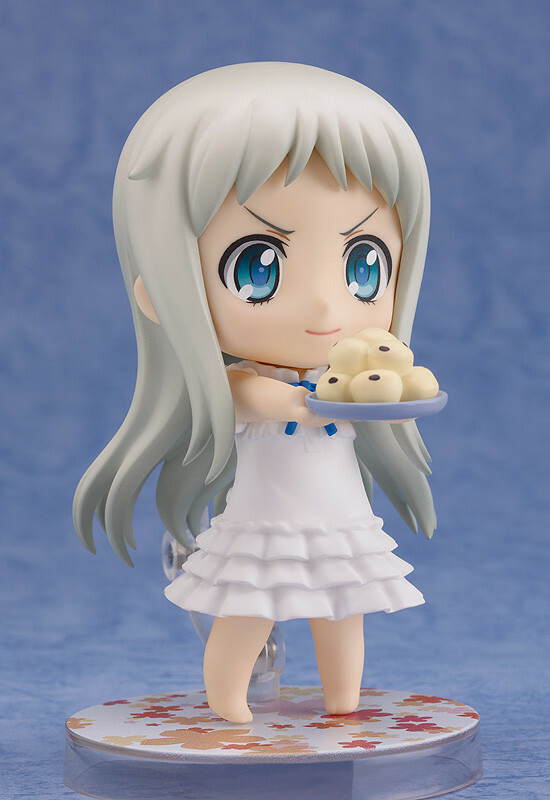 She comes with everything you need to recreate your favorite heart-warming scenes from the series! Preorders will be open from 9th September 2014 (Tues) from 12:00JST until 8th October 2014 (Wed) at 21:00JST.